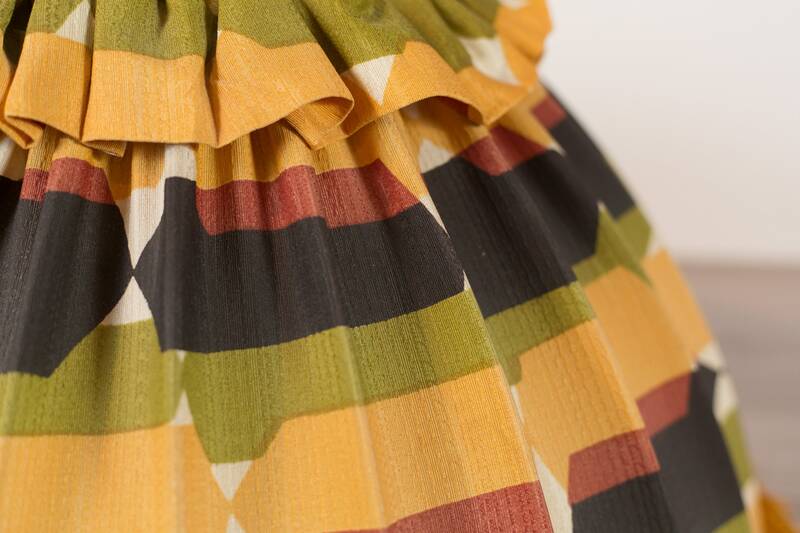 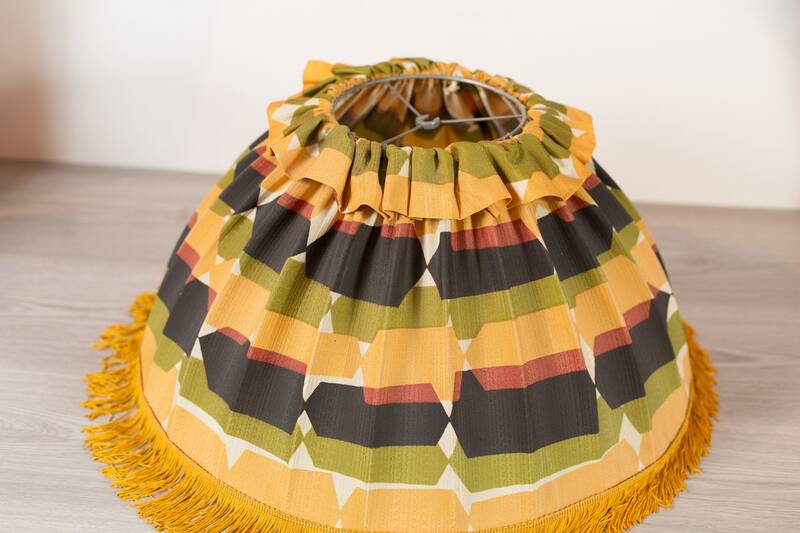 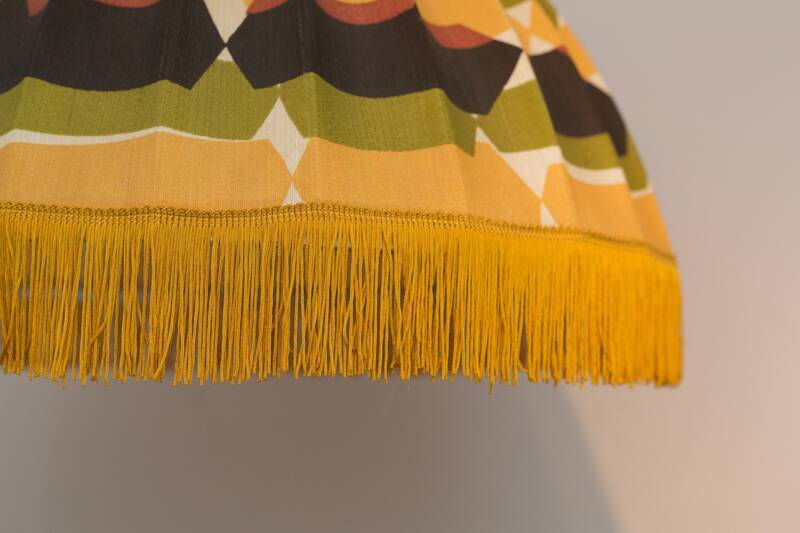 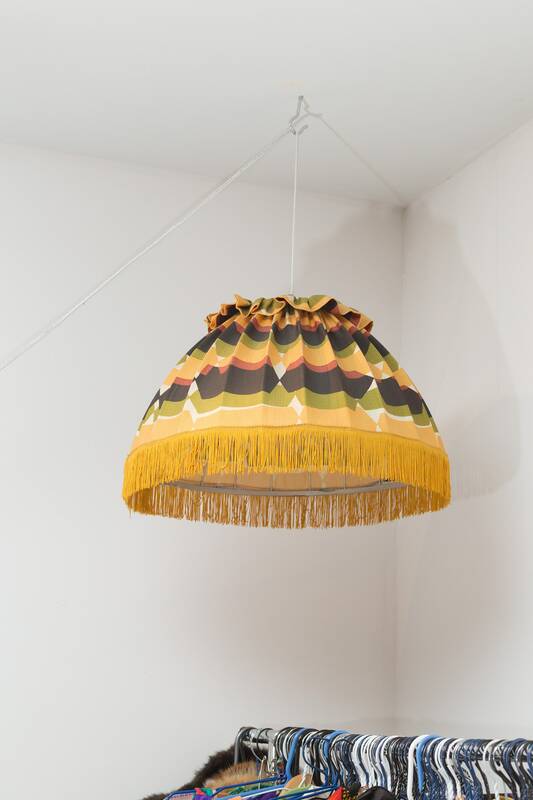 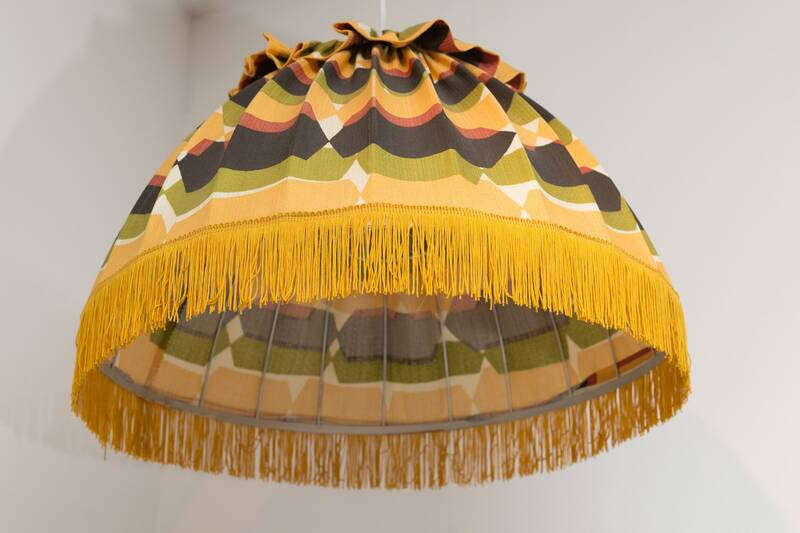 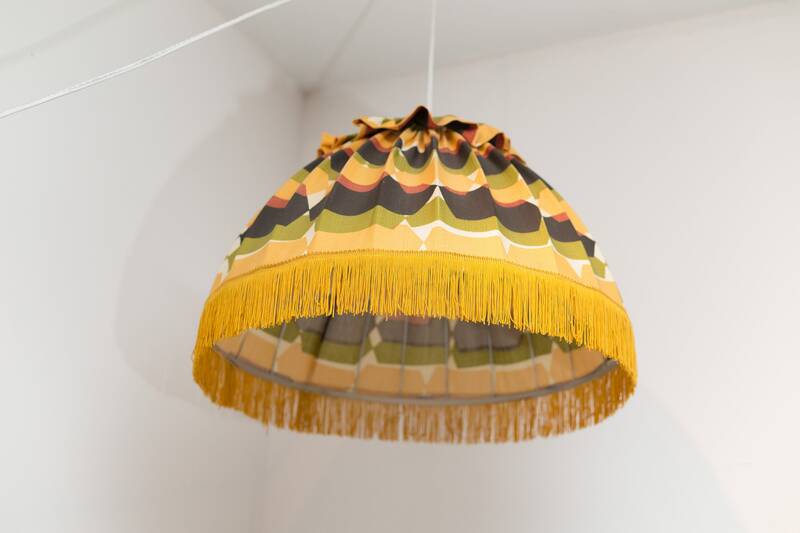 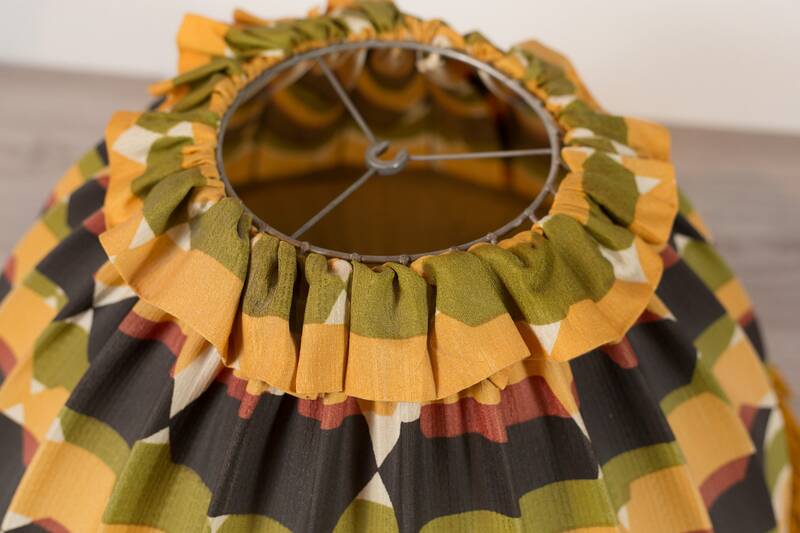 This is a wonderful vintage 1960's fabric pendant lampshade with a remarkable mid-century modern design. 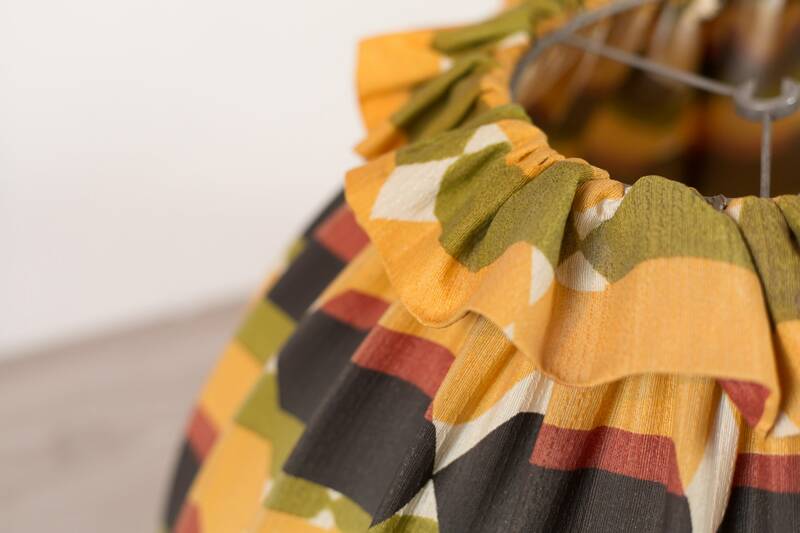 Pairs perfectly with teak! 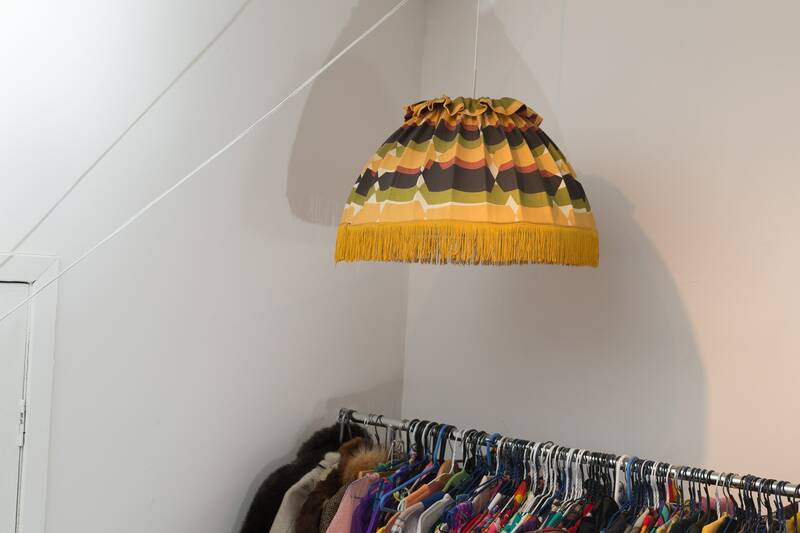 Just hang it from a pendant light - no installation required. 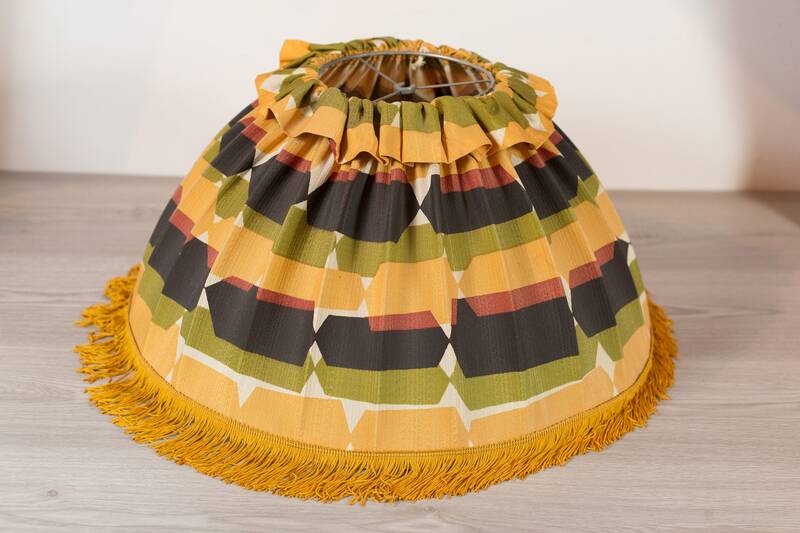 It has a fantastic yellow fringe and a ruffled look.